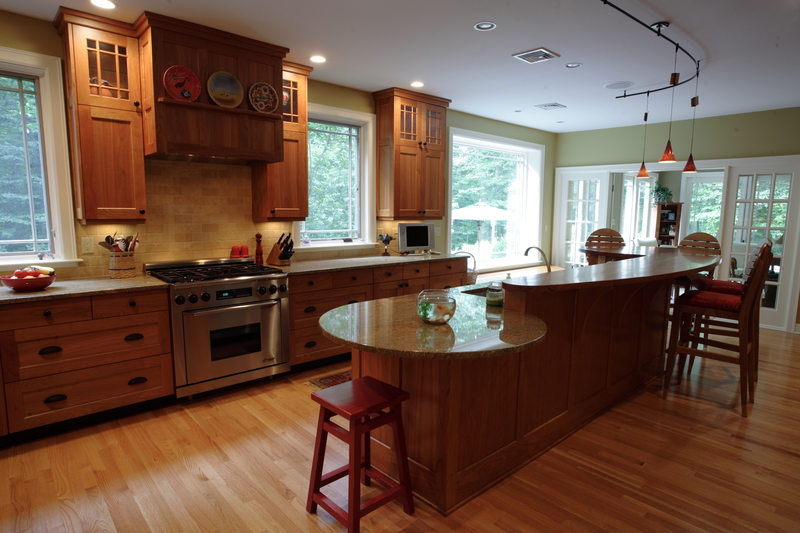 In this remodel, an already large kitchen with dated cabinets was transformed into a more modern space with traditional details. New windows with prairie style mullions were added to allow for a better view of the back yard. 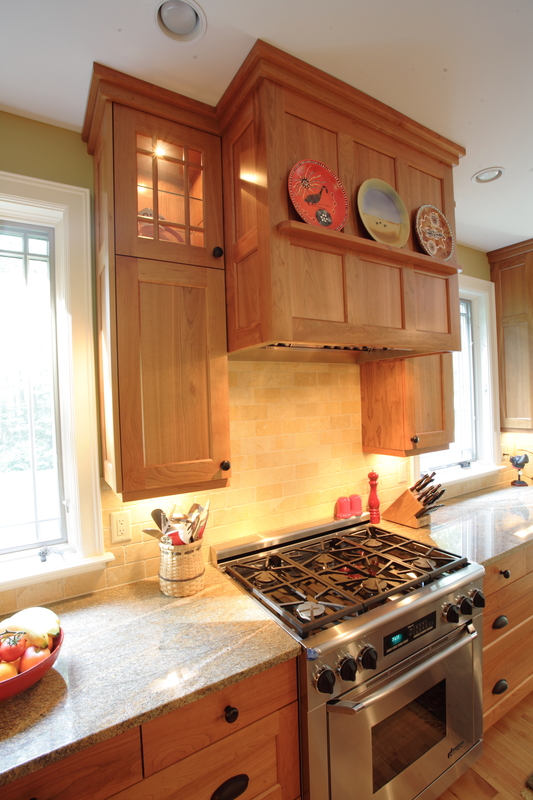 This prairie style theme was repeated in the glass-fronted cabinets. 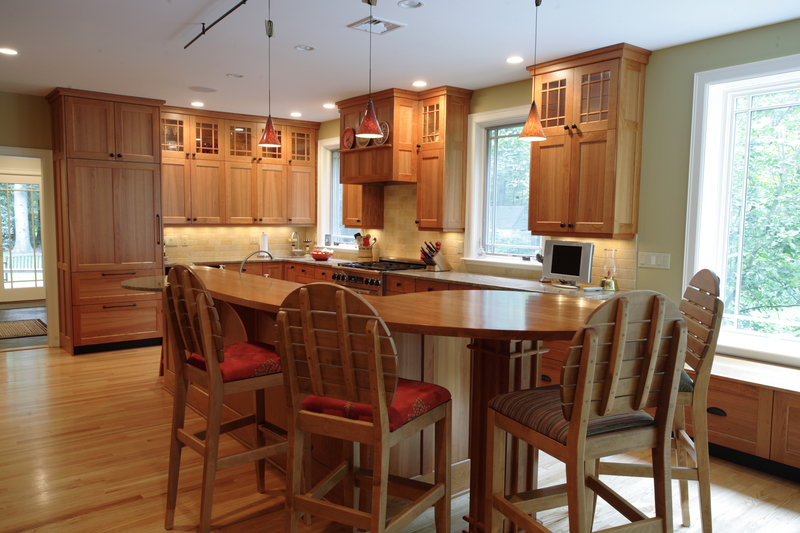 The cherry cabinetry is topped with granite counters. An elongated yin-yang shaped island houses the sink, dishwasher, trash, and refrigerator drawers at one end to allow for easy access to beverages and snacks. The higher informal dining counter is made of solid cherry. 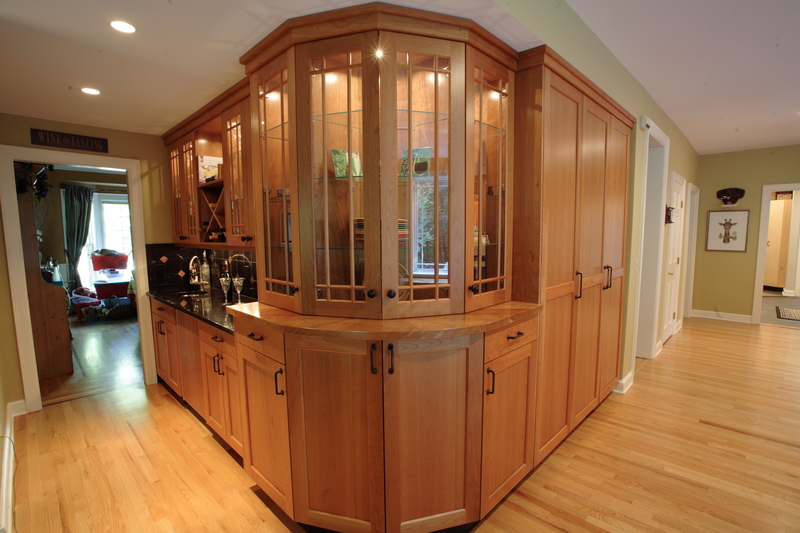 This grand kitchen is complete with built-in pantry, hutch, and wet bar. 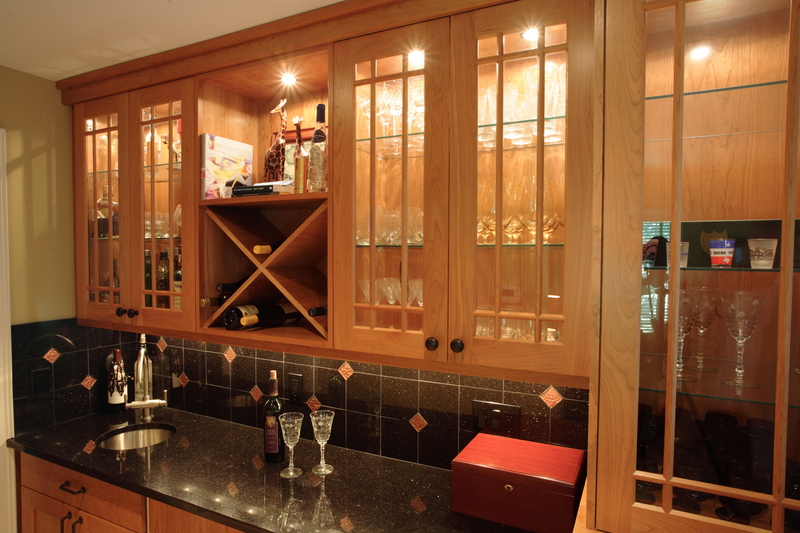 The hutch is a unique cabinet that wraps the corner joining the pantry and wet bar.